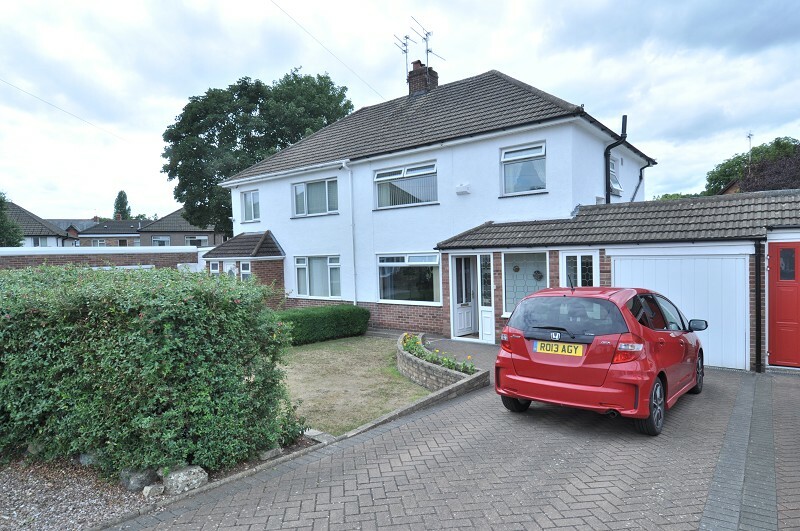 OPEN HOUSE SATURDAY 18 AUGUST 2018...3 bedroom property, with driveway and garage, located in a quiet cul-de-sac. Pleasant garden with sunny aspect. 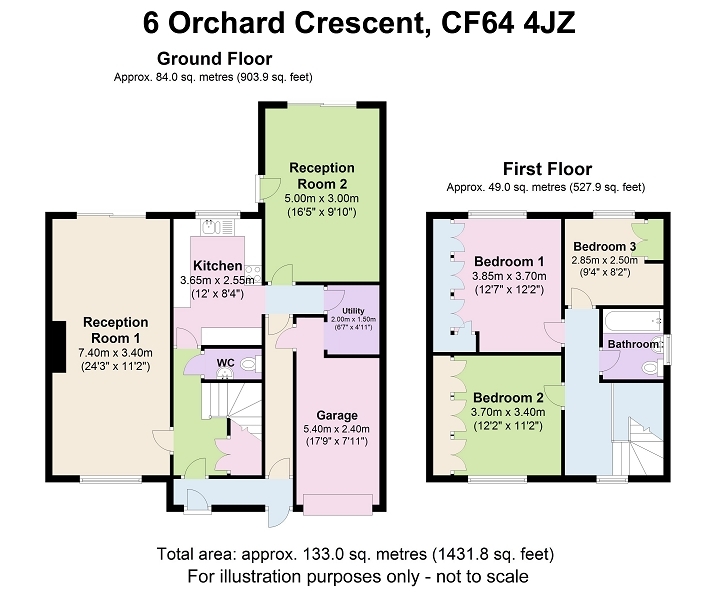 Potential to update in areas and possibly extend into the large loft space. Short walk to shops, schools and the train station. NO CHAIN. Porch with pair of uPVC entrance doors and a tiled floor. 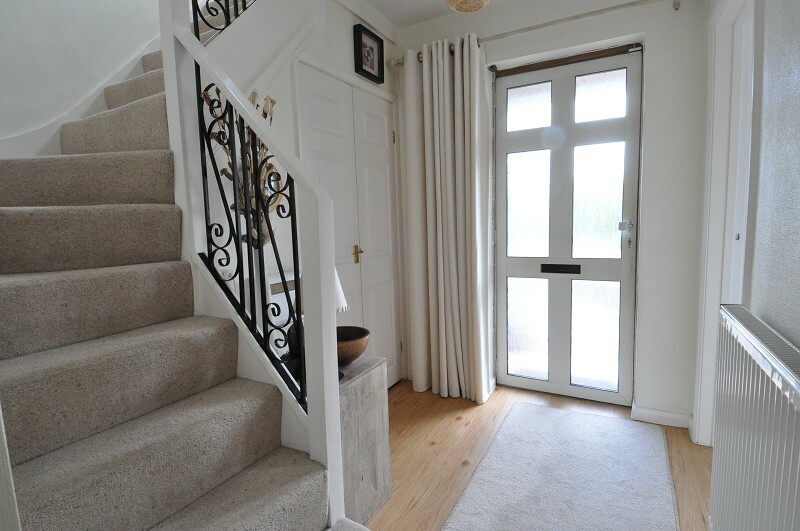 Inner door leading to a generous hallway with stairs rising to the first floor and doors leading to the principal reception room, kitchen and cloakroom / WC. Wood effect laminate floor (concealing the original wood block floor). 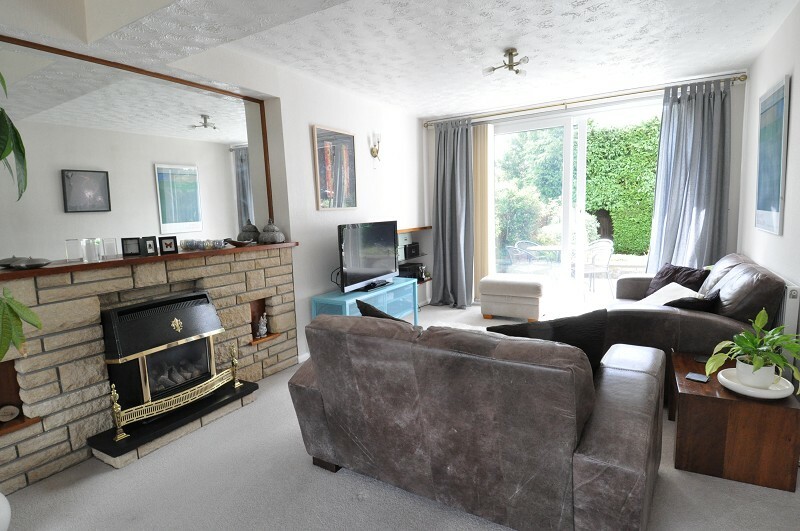 Sizeable living area with dual aspect. Front picture window overlooking the Crescent and rear sliding patio doors opening onto the sun terrace. Fireplace with brick surround and living flame gas fire. Mantel with large mirror above plus alcove shelving. 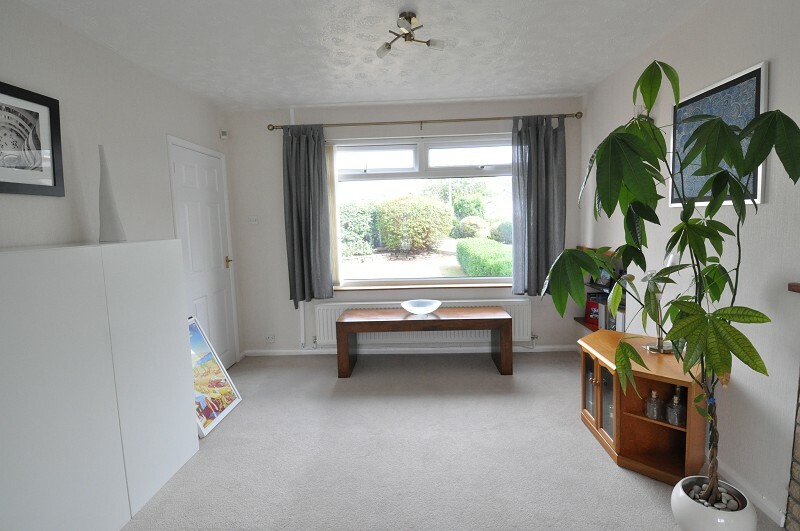 Fitted carpet (concealing the original wood block floor). 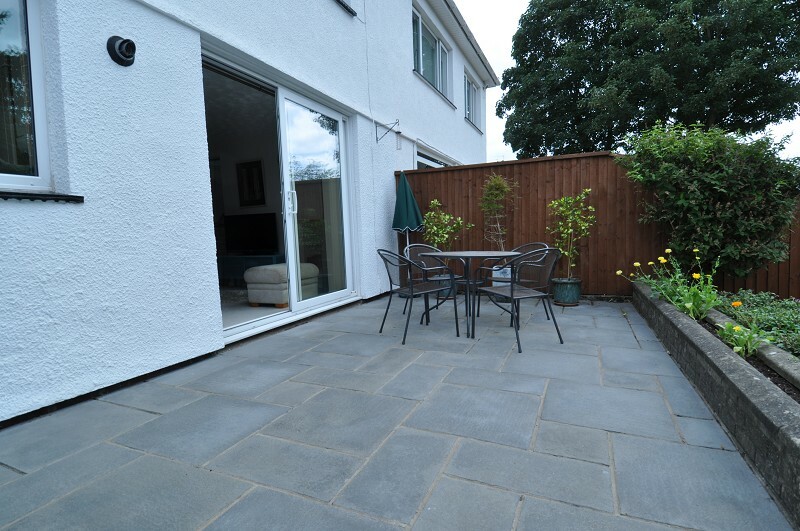 Rear extension offering a second reception room. Side door and set of French doors opening onto the garden. Ideal home office, playroom or music room. 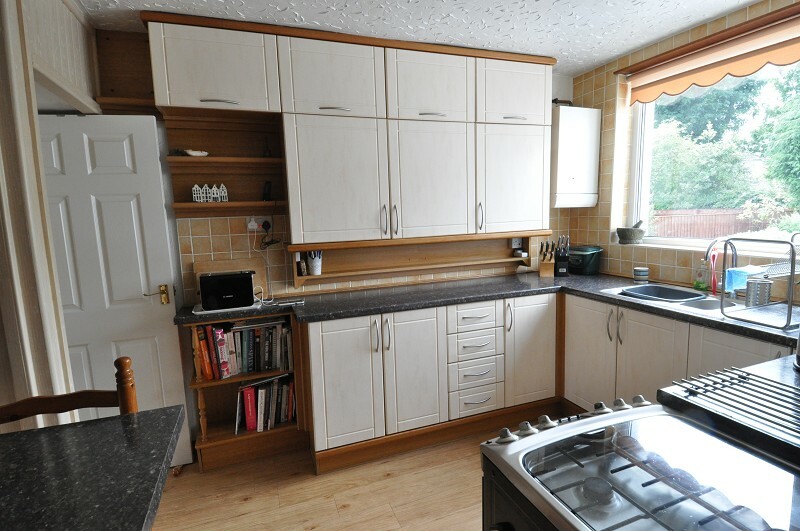 Fully fitted with matching wall and base units, work surfaces and small breakfast bar. One and a half bowl sink and drainer with mixer tap. Space for an oven and space / plumbing for a washing machine. Rear window with view across the garden. Wood effect floor and door leading to the rear lobby which in turn provides access to the third reception, utility area and garage. Small utility area with further wall and base units, work top and space for a fridge / freezer. WC, vanity wash hand basin and side window with opaque glass. Bright landing with front window. Hatch (with drop down ladder) to the boarded out loft which could be converted, subject to any necessary consents, into a 4th bedroom. Master bedroom with rear facing window overlooking the garden. 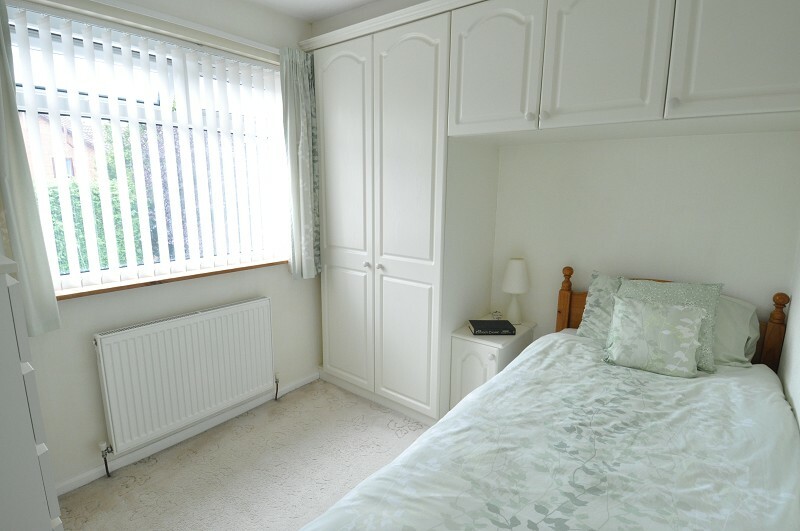 Run of fitted wardrobes, one accommodating the hot water cylinder. 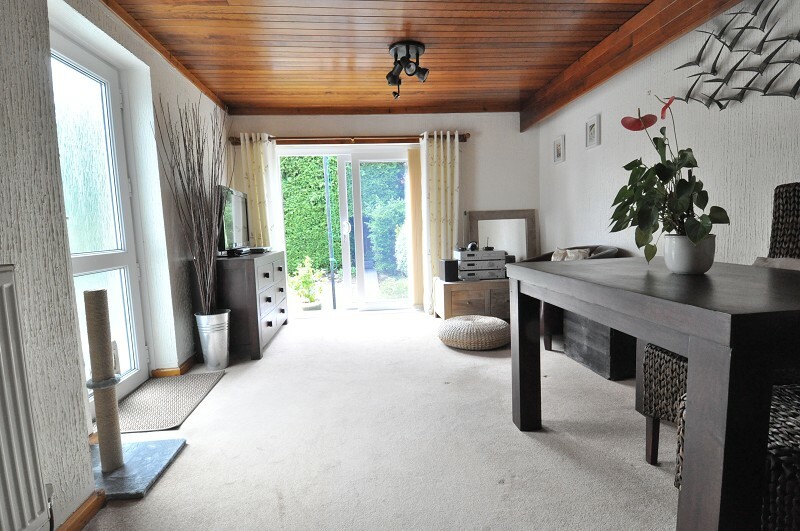 Fitted blinds, curtains and fitted carpet. 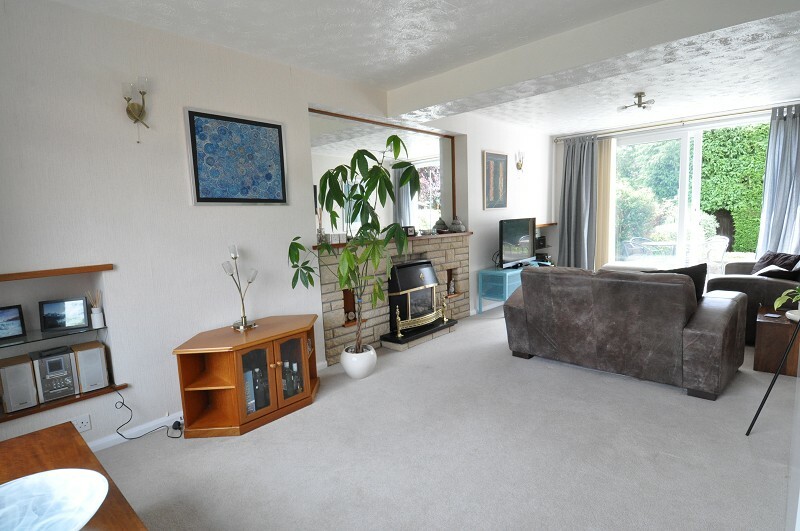 A second well proportioned double bedroom with front window overlooking the Close. 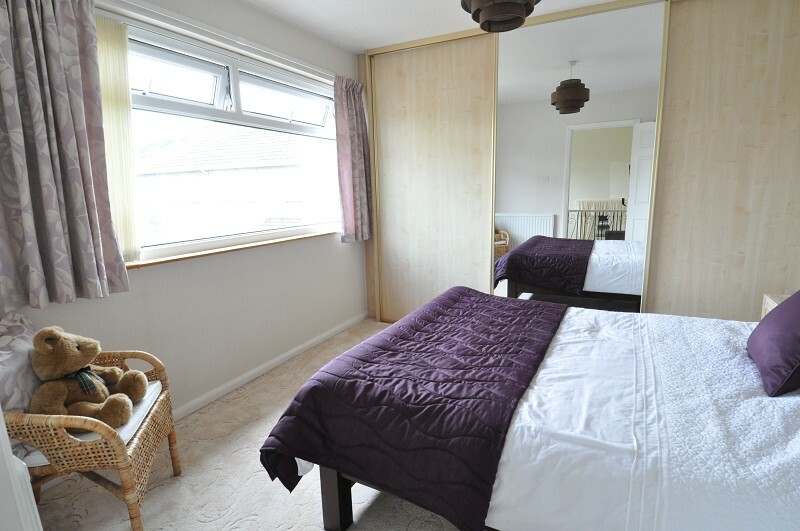 A large than average single bedroom with window overlooking the garden. 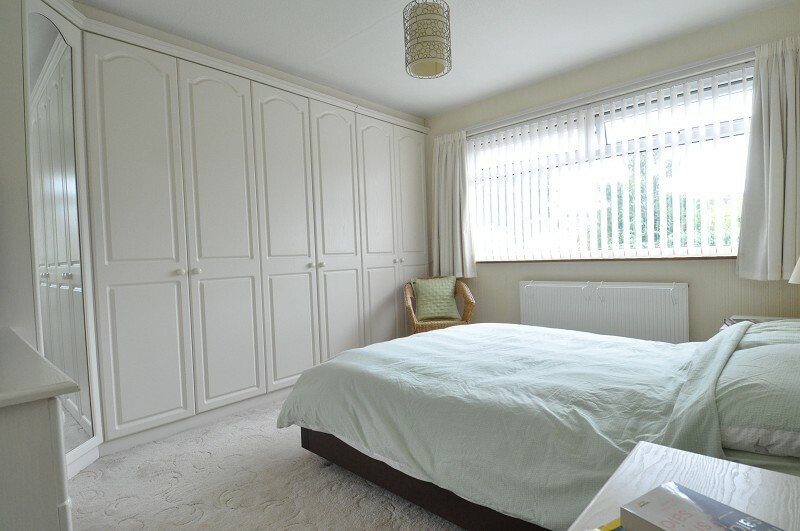 Fitted wardrobes and overhead storage. Modern bathroom comprising a panelled bath with mixer shower over, WC and pedestal wash hand basin. 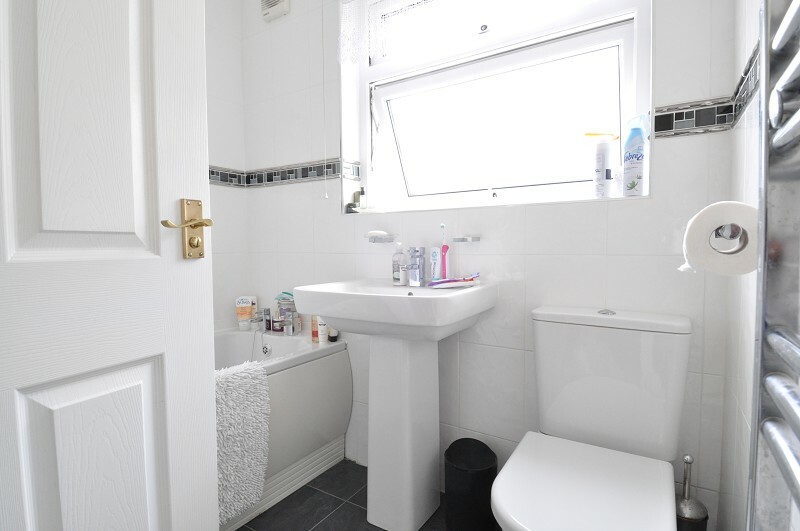 Tiled walls and floor plus chrome heated towel rail. Up and over door, power points and lighting. 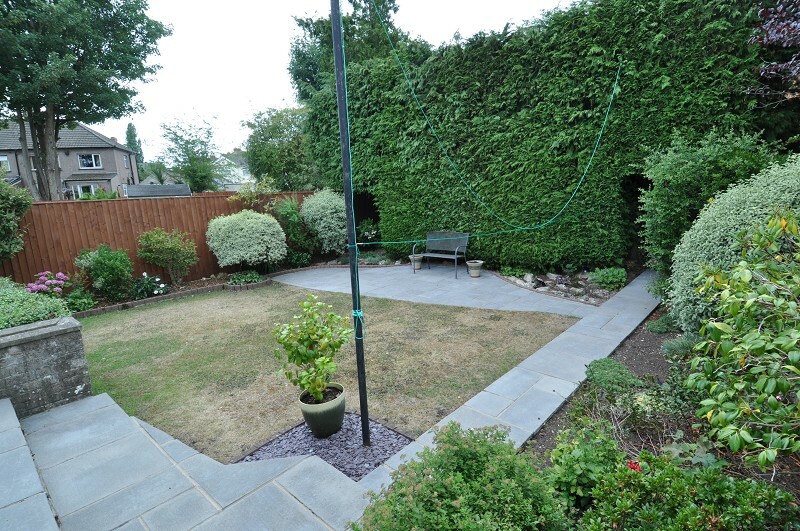 Pretty frontage with block paved driveway, lawn and mature planted borders. Enclosed garden with sunny, westerly aspect. 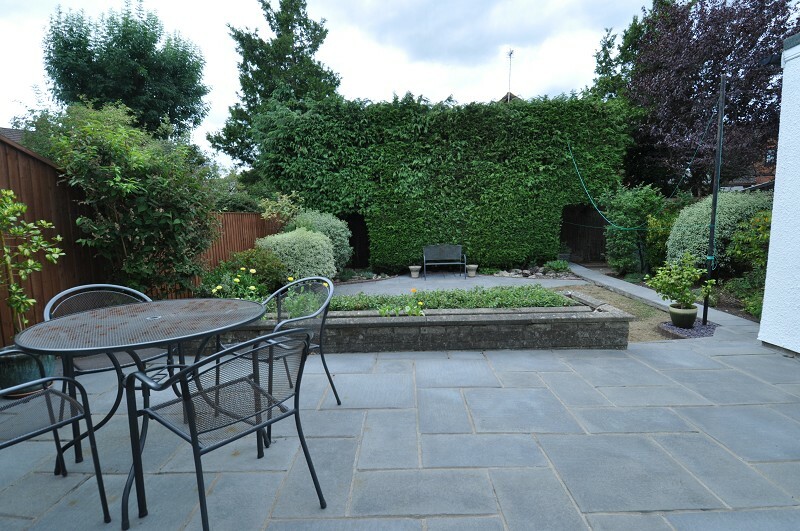 Paved terraces, lawn, raised planted beds / borders and mature shrubbery. Enclosed by timber fencing and to the rear, established conifers which provide natural privacy and screening. Outside lighting and cold water tap. o Gas fired central heating with a boiler and hot water cylinder. There is a large village common with children's play area and tennis, bowls, rugby and cricket clubs which cater for all ages.